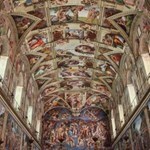 Our in-depth skip the line Vatican tour will immerse you in the breath-taking art and history of the Sistine Chapel. Marvel at the great works of Michelangelo, getting an up-close look at his most ground-breaking masterpieces. Let our talented guide take you on a journey through the geniuses of the Renaissance who changed the face of Rome five centuries ago. 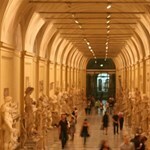 Learn about the treasures of the Art Gallery, a treat most tourists never get to experience. 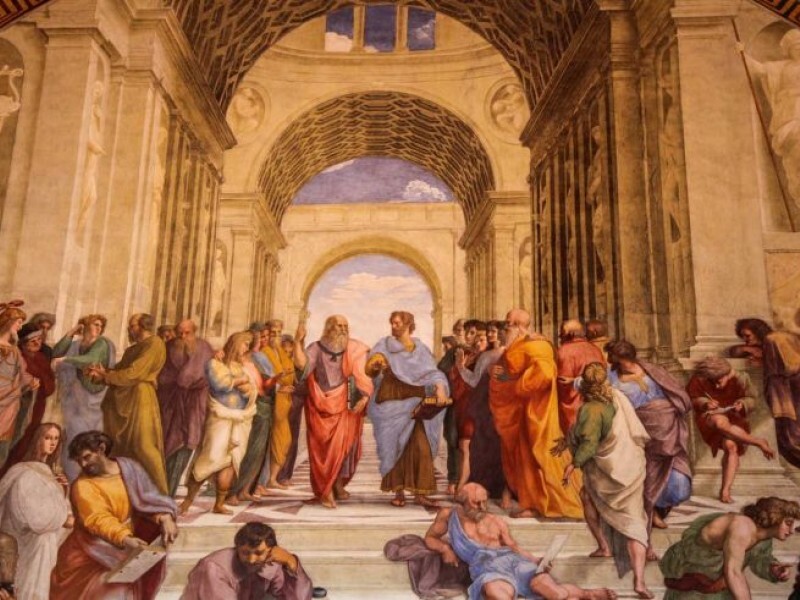 Delve into the Athens School as you wander through the frescoes in Raphael's Rooms and admire The Transfiguration, the artist’s last work before his untimely death. Skip all the queues and arrive at St. Peter’s Basilica and witness the long history of the Christian faith, be moved by Michelangelo’s Pietà, the works of Bernini and other masterpieces, a unique and enriching experience not to be missed. 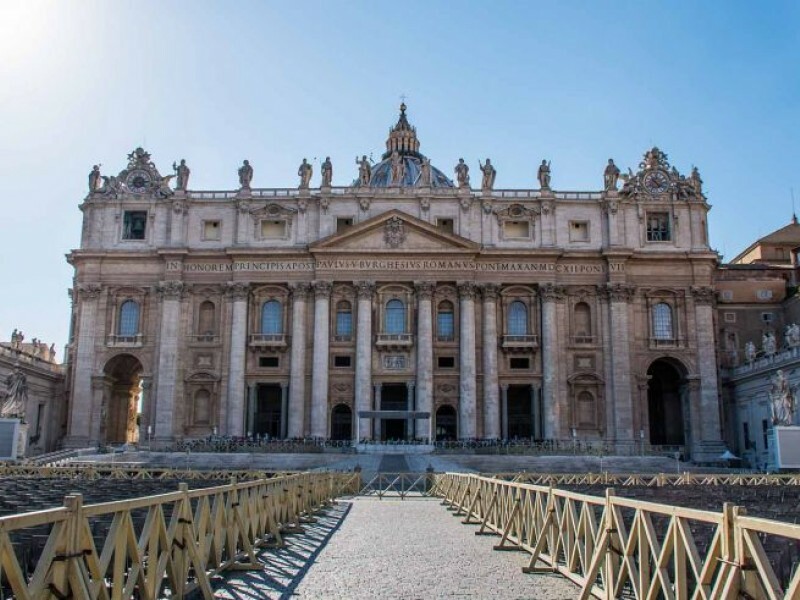 Get the best experience of the Sistine Chapel, the Pinacoteca, the Vatican Museums and Saint Peter's Basilica with time to discover, learn and absorb the beauty and the meaning of great artworks housed in the Vatican city. There is only one route that brings you to the Sistine Chapel, passing through courtyards and palaces with on of the best art collection of the world. Don't rush through them; you'll be captivated by these extraordinary masterpieces, and even by the intricate details, such as the eyes of a statue or the frescoes on the ceiling. Whoever explore the Sistine Chapel through the eyes of Michelangelo, whoever reads his thoughts and sentiments, encounters a genius. Learn who he was, how he lived and what he thought. Discover step by step how he learned to master the fresco technique used and consequently he changed the proportions and the subjects in the scenes painted in the Capel, according to his inspiration. Our guides will accompany you into the great building projects of the Italian Renaissance and together we will relive the environment of the Florentine Renaissance and the Papal court in Rome in which Michelangelo created his masterpieces. Appreciate the figures of Jonah, Adam, Eve, Noah and thousands of others on the ceiling of the Sistine Chapel and in the Last Judgement. 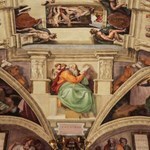 Discover why were choosen by Michelangelo and the incredible storie they tell us. 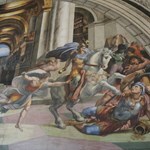 Understand how and why these frescoes have redefined not only art, but the way in which we look at the world. This was a period of overwhelming enthusiasm and of amazing innovation. The men of the Renaissance didn't merely dream of changing the world - they really revolutionised it. The printing press, the geographic maps with which Columbus reached the Americas, modern science, architecture, art and the sense of beauty (a concept demonized in the Middle Ages), all these were their creations. The frescoes of the Raphael rooms perfectly depict the world of the contemporary courts that governed the course of this new world and where the great geniuses of the age called home.The cultured conversations fueled by the wine of sumptuous banquets, the statues brought to light by a frenzied passion for excavations, new fashions, and above all new ways of thinking and living, are marvellously recreated by Raphael with the perfect touch of his graceful brush. 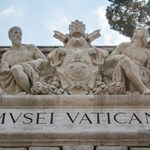 On this Vatican group tour we will have the opportunity to experience this amazing world in the flesh. Indeed there is an entire world to discover here, a world of which we ourselves are the children. 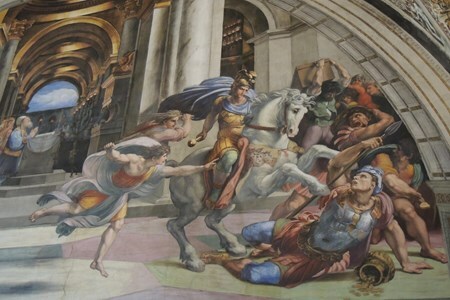 Some of the the most important works that we will discover on our group tour of the Vatican, such as timeless Greek masterpieces like the Laocoon, the Belvedere Torso and the Apollo Belvedere, were excavated at the time of Michelangelo and Raphael, who studied and admired them in the same architectural context in which they are preserved today. The artworks that they created are the fruit of their careful study. 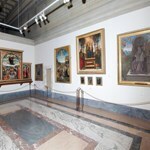 And so we too will pass through the Pinecone courtyard, the Belvedere courtyard and the tapestry galleries, discovering a selection of masterpieces with a guide capable of recreating the climate of the epoch, helping you to appreciate the Raphael Rooms and the Sistine Chapel in their historical context. 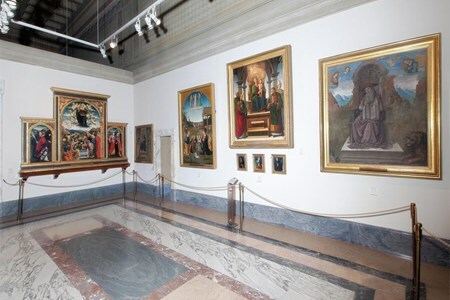 Some of the finest paintings of the Vatican Museums are collected in the Pinacoteca, still ignored by most tours. In this tranquil part of the Vatican museums it is possible to appreciate the explosive force of Leonardo's Saint Jeromeand the spectacular realism of Caravaggio's Deposition, an artist of absolute and ungovernable genius. We will also encounter Raphael's Transfiguration, a work that would be his last when, struck by a terrible fever, he died at the height of his fame at the tender age of 37. 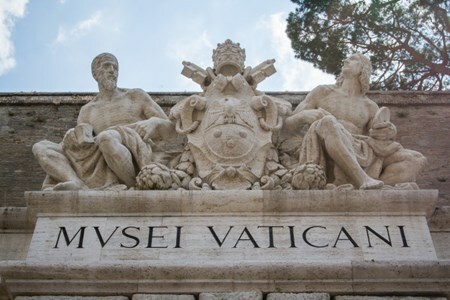 This part of our Vatican tour will bring us to the heart of the Christian faith, and along the way we will discover an incredible collection of relics and religious tokens that have accumulated here over the course of nearly 2,000 years at the site of St. Peter's tomb. 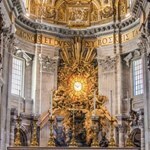 Our Vatican group tour is optimized to allow you to experience these amazing objects in their original context. At the same time you will have the chance to admire and understand enchanting works of art such as Michelangelo's Pietà, a work whose intimate embrace overflows with such tenderness that it can move even the hardest viewer to tears. The masterpieces of Bernini, the great genius of the Italian Baroque, also dominate St. Peter's, and the spectacular eponymous piazza dazzles with astounding optical effects. It is here that the faithful have gathered for centuries to celebrate the great events of Christianity, from the election of new popes to solemn masses. 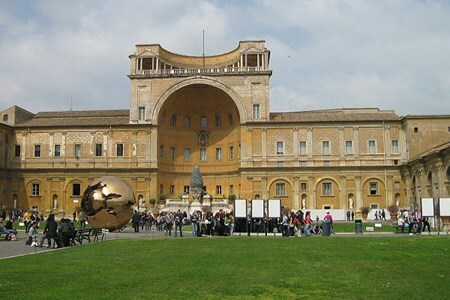 We will bring you here to read a history that will also become our own, a history lived by the protagonists of our fascinating Vatican group tour itineraries. 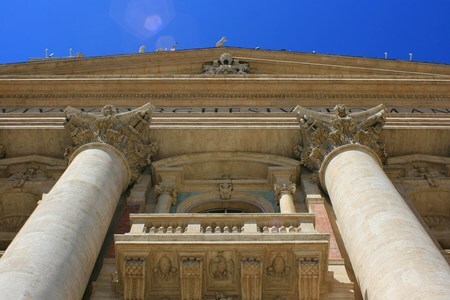 The Basilica of St. Peter's may be subject to unscheduled closings and late openings for religious ceremonies. 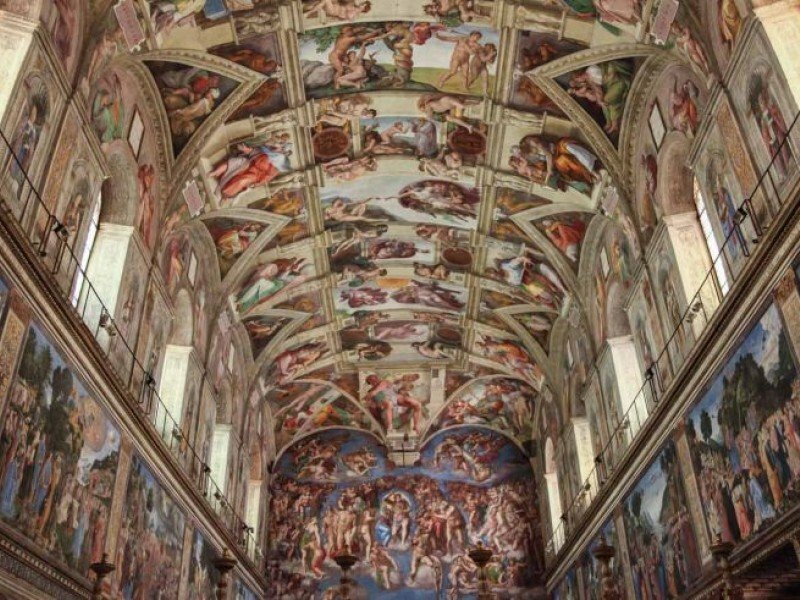 Because these are often last-minute for security reasons, we may not have time to notify our guests but instead the full tour will be spent exploring other parts of the museums and Sistine Chapel. 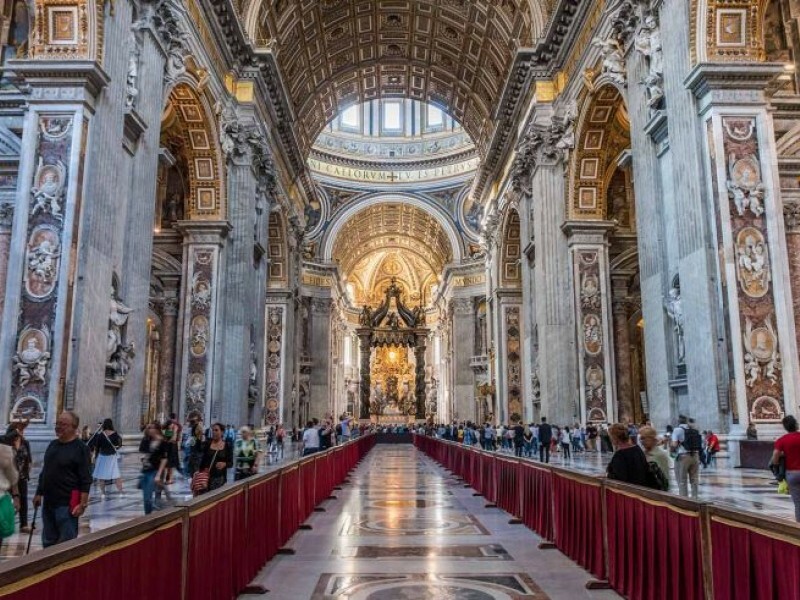 We do not provide refunds for unexpected closures of St. Peter's and your guide will still give you a introduction to the Basilica, should you wish to return in your own time during your stay in Rome. Get the full picture of Rome’s cultural heritage by pairing your Vatican tour with our Immersive Colosseum tour, and explore the majesty of the ancient empire! 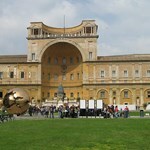 The Vatican Museums are very large and contain numerous steps and stairways. Wear comfortable shoes and bring plenty of water. The Raphael rooms (Stanze di Raphael) are four rooms which were used as the residence of the popes between 1507 and 1585. My wife Laura and I are very happy that we selected the Immersive Vatican tour with through Eternity! Gracelyn was passionate and knowledgeable about all of the subjects covered; we couldn't imagine trying to sift through all of the art, history, and religion on our own. Grazie! John is outstanding!!!!! There are not enough words to explain his knowledge and enthusiasm and willingness to ensure that his guests have THE BEST POSSIBLE experience. From making sure we knew when and where to sit when the opportunities presented themselves, to going the extra mile to help us choose a spot for lunch, to his breadth of understanding and knowledge, to his eagerness and enthusiasm ... more in sharing Vatican City with us; every moment of our day was outstanding!!!!! Spending the day with Luca touring the Vatican grounds was one of our best tours during our time in Europe. Luca was an excellent guide, offering not only historical information about the Vatican Museums, Chapel and Basilica, but he also brought an emotional side to the tour. While viewing some of the paintings, I was moved to tears by the mental picture he was able to paint. He was friendly and personable, ... more and made our time together well worth the cost of the tour. Luca took time to thoroughly answer all our questions about the things we were viewing, as well as offering instructions on how to use the public transit system to return to our hotel. He was a fabulous guide! The tour itself was well organized, from instructions for where to meet, to including headsets for ease in hearing Luca while in the crowded surroundings. The tour company also included instructions about clothing requirements so that tour members were not surprised when there admittance was denied because of what was considered immodest apparel as we saw happening with other groups.We could not have been happier with our experience with Through Eternity Tours or with Luca. You will not be disappointed! Our Immersive Vatican Museums, Sistine Chapel & St. Peter's Basilica Tour was just spectacular!! In all honesty, it was my personal highlight of our two-week vacation in Italy! Gracelyn, our guide, was fantastic. She was lively and energetic, organized, well-informed, and fun. She really made the experience worthwhile. The tour was long, almost 6 hours, but I was never tired or bored. Everything was ... more so fascinating, and having a guide like Gracelyn really helped. The entire complex is massive and could be very overwhelming to some, but she put things into context, gave lots of back story and information, and made the tour fascinating from start to finish. I would highly recommend this tour!! Luca is a deeply knowledgeable and engaging guide. We were very glad to have his guidance through the vast Vatican Museums. He gave us information all along the way with a lunch break half way through. He found our small group a shady bench in a lovely courtyard where he told us about the Sistine Chapel in advance, since no talking is allowed in that room. The museum was crowded, but with a guide ... more you have a purposeful route and we did not have any trouble viewing the artwork and architecture. We appreciate your expertise, Luca! 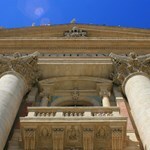 We have taken several tours during our month visit to Italy and this tour was absolutely the best. Not only because of the subject matter but mainly because of our guide, Anna. She was brilliant! She made all the difference in what could have been a very difficult visit because of the volume of people. Limiting the number of people on the tour is a real plus. We will highly recommend Through Eternity.